Hall of residence, flat share or my very own pad? Before you can really get going with your studies in Chemnitz, there are still a few things to organise. Where do I start and what do I need to think about? Finding the right student accommodation, funding your studies, taking a bridge course to refresh your existing knowledge and much more besides: everything you need to know about preparing for your degree programme can be found here, to make sure your start to university is stress-free. Social Counseling Service for international students and also answers yours questions about funding your studies. The International Office of Chemnitz University of Technology regularly offers scholarships provided by the German Academic Exchange service. You can find more information on further funding bodies and foundations here. One of the advantages of studying in Chemnitz is most definitely the relatively low cost of living compared to many other university cities. Even so, it is advisable to start thinking about how to finance your studies early on. We can give you all the information you need on the BAföG (financial assistance offered by the federal government), student loans, part-time jobs and grants – so that you can start your degree programme perfectly prepared and financially secure. Where can I live in Chemnitz? What sort of accommodation would suit me best?Got your university place sorted, but no idea how or where you want to live? By yourself, two of you, or in a flat share? There are lots of possibilities and each one has its own advantages: enjoy the social aspect of a student flat share or hassle-free living in one of the many halls of residence on campus, where all bills are included? Or perhaps you prefer your own space and would like to get your first place by yourself? 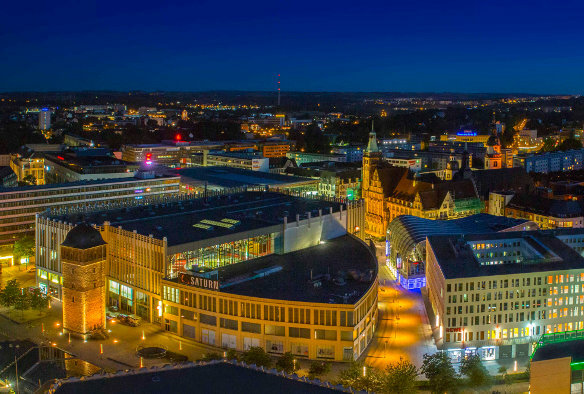 Chemnitz has a range of accommodation to suit all tastes – affordable and close to the university. Get a place in a student residenceAt the heart of student life instead of being on the sidelines! A room in one of the halls of residence close to campus means you only have a short walk to the university, student clubs and the canteen – and there’s always something going on. Single rooms or flat-share rooms in student residences are available at an affordable 170 to 270 euros per month, including utilities. Find out how to get a place on campus here. Your own flatYour very own flat at student-friendly prices? In Chemnitz, it’s easy enough! Finding a cosy apartment in Chemnitz is pretty stress-free. You’ll find flats to rent advertised on shared accommodation websites, as well as on the canteen noticeboards, the Orangerie and the halls of residence themselves. Find a flat shareLiving alone isn’t really for you, and you’d rather have other people around you all the time? Cooking together and chilling out with friends suits you better than the peace and quiet of your own place? Then a flat share is a great alternative for you. There’s always something going on, and you’ll rarely be left to your own devices. But there’s the odd challenge to face now and again when you live with others. Openness and the ability to adapt should therefore be no strangers to you. If you’re looking for a flat share [de], just check the noticeboards in the canteen or elsewhere on campus. You’ll also find adverts from friendly people looking for flatmates here. Bye-bye Hotel of Mum & Dad! You have a place at Chemnitz University of Technology and now you need somewhere to live? We’ll show you how and where you can find affordable student flat shares or a place in a student residence. Thanks to very reasonable rents in Chemnitz, even your own student flat might be a good option. Close to campus and not too expensive – here you are guaranteed to find a home for yourself while you’re studying in Chemnitz. Room namesAt long last, you’ve got your timetable right in front of you. But one look at the room names and you’re clueless? Don’t worry, the Campus Finder room directory will get you where you want to go. Simply enter the room number, view the map and you’ll know which way to head. These maps are easy to print out, too. University Site 1: Straße der Nationen (StraNa)The Straße der Nationen site is located close to the central train station. “StraNa” is home to the Faculty of Computer Science, the Institute of Chemistry (which is part of the Faculty of Natural Sciences) and the Teacher Training Centre [de] (Lehramt). This is also where you’ll find the Student Service Point, the Central Course Guidance Service, the Central Library and the University Management. To find the International Office you may look for the address Bahnhofstraße 8. The largest site of the Chemnitz campus is the site on Reichenhainer Straße. This is where the Faculties of Electrical Engineering and Information Technology, Mechanical Engineering, Mathematics, Economics and Business Administration, the Faculty of Humanities, a part of the Faculty of Behavioural and Social Sciences, and the Institute of Physics are all located. You will also find the associated Campus Libraries I and II here, as well as the Central Examination Office (ZPA ‒ Zentrale Prüfungsamt). You may find the offices of the Career Service and the Saxeed [de] project at Dittesstraße 15 in building C2. One important location is of course the canteen [de] (Mensa) with its cafeteria [de], where lively student life can be found throughout the day. You will probably spend your evenings in one of the many student clubs [de] in this part of the campus! University Site 3: Erfenschlager StraßeThe university site Erfenschlag is where you will find parts of the Faculty of Mechanical Engineering. A real highlight is the METEOR project building [de], where the Professor of Ergonomics and her team are based. It is the venue for a wide variety of interdisciplinary research projects, projects for external organisations and events. University Site 4: Wilhelm-Raabe-Straße 43The Institute of Psychology, part of the Faculty of Humanities and Social Sciences, is based in the small university site on Raabestraße. At first glance, it’s not that easy to find your way around the campus of Chemnitz University of Technology. We’ll explain where you can find the different parts of the university so you don’t lose your bearings and know exactly where to go. 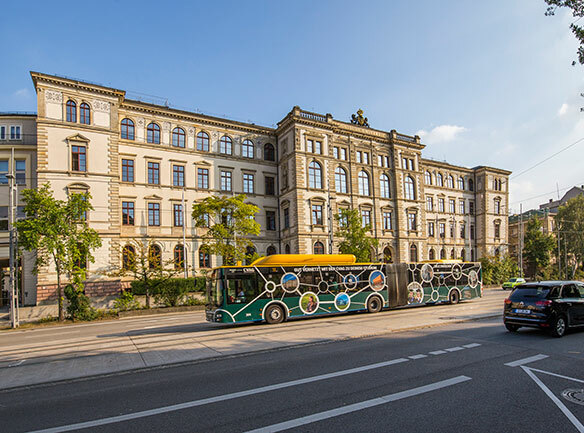 As a student, you are entitled to free bus and train travel in Saxony with your semester ticket. But for short journeys to the university and for your leisure time, it’s worth getting a bicycle. Getting around Saxony with your semester ticket.You will receive your TUC card as soon as you have enrolled; your semester ticket is printed on it. It is valid on any lines operated by the Verkehrsverbund Mittelsachsen (VMS ‒ Central Saxony Transport Association), the Schienenpersonennahverkehr Sachsens (SPNV ‒ Local Rail Saxony), the Verkehrsverbund Vogtland (VVV ‒ Vogtland Transport Association) and the Verkehrsverbund Oberlausitz-Niederschlesien (ZVON ‒ Oberlausitz-Niederschlesien Transport Association). In addition, regional tickets for neighbouring states can be combined with your semester ticket, so you don’t need to buy an upgrade ticket. Long-distance coaches and long-distance trains such as an ICE, IC or EC are not included in your annual ticket. You can find additional key information about the semester ticket [de] on the StuRa website. Travelling by bus and train in ChemnitzYou’ll quickly get your bearings thanks to Chemnitz’s well-designed local public transport system. The university’s sites are connected by tram line 3. Convenient regional bus lines will also transport you across the entire city. Cycling is the way to travelYou can get around quickly on the cycling routes between the university’s sites. If you don’t own a bicycle, you can rent a bicycle from Chemnitzer Stadtfahrrad [de; PDF] at a reasonable price. And if your bicycle ever needs repairing, you can get help from the Dr. Radinger [de] self-help bicycle workshop. Of course, you can also take your bicycle on the bus and train free of charge. Having a car is not essentialWe all know that driving is convenient and indeed very tempting, particularly during the cold winter months. However, it can be hard to find a parking space at some university sites. That’s why it’s better to leave your car at home and hop on the bus or train because parking in the wrong place can become rather expensive. That said, if you prefer to drive, you can always head to the nearest Park & Ride car park and take the bus or the train to campus from there – you’ll save on petrol, you can use your semester ticket, and the environment will thank you for it, too. Your university email addressA user account and your own email address will be set up for you at the start of your studies by the University Computer Centre [de] (URZ). You can use this email address throughout your degree programme. The university and teaching staff will use this address to communicate with you. You should therefore check your mailbox [de] regularly for news or set up forwarding to your personal email account. Get to know the libraryThe library at Chemnitz University of Technology is divided into different library sections. As a TU student, you have access to academic e-books and electronic journals from all university computers and from your own tablet, laptop or smartphone anywhere in the world. Search for specific books and journals on the University Library website, use the Interlibrary Loan system to borrow them and renew your loans via your library account. Got your health insurance in place?In order to prove that you are insured, you must present an insurance certificate from your health insurer at the start of your studies. 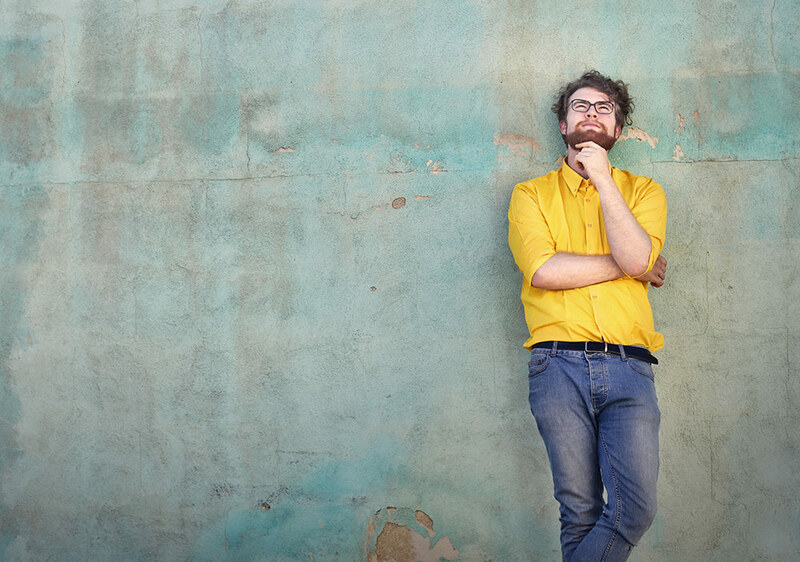 As a student, you can be covered under your family’s insurance policy until you turn 25. After that, you must obtain your own insurance. If you work in addition to your studies, please note that you must not exceed the additional earnings threshold. Please bear in mind that these thresholds do not have anything to do with the calculation of your BAföG (financial support from the federal government). 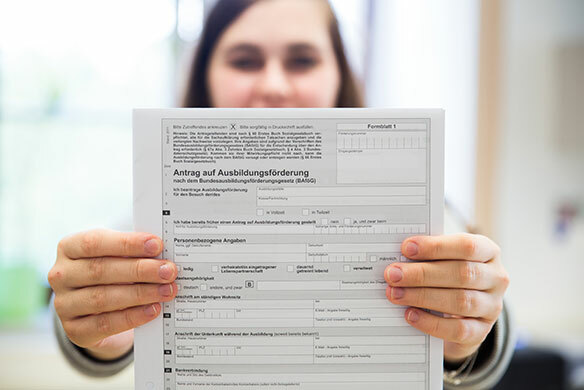 Notifying a change of address: yes or no?If you begin a degree programme at Chemnitz University of Technology, you must register with the Citizens’ Service Agency [de] within two weeks. You may choose whether to register your accommodation as a main residence or a secondary residence. The city of Chemnitz offers you a “welcome money” stipend of 100 EUR if you register your address in Chemnitz as your main residence. The application form is easy to find on the Internet. Please note, however, that if you register your new main residence in Chemnitz, you may no longer be covered under your parents’ third-party liability insurance, so it’s a good idea to check your insurance cover. Using the university wifiYou can use our free and secure university wifi (eduroam) across campus. Once set up, eduroam allows you to use the wifi at virtually all universities in Germany and even many universities around the world, without you having to set up your device all over again. Information on setting up the campus network and advice on security [de] can be found on the University Computer Centre’s (URZ) pages. Don’t forget the “broadcast contribution”As a student, you still have to pay the “Rundfunkbeitrag” (broadcast contribution), commonly known as the GEZ. This is obligatory for every German household. If you receive BAföG assistance, you may be exempt from paying the Rundfunkbeitrag. Application forms and further information are available here. Have you remembered everything? Your checklist for the start of your studiesTake a quick look at the checklist so that you don’t forget anything when you’re getting ready to start your course. Amid all the stress of preparing to start your degree, it may be that you forget about one thing or another. To make sure your semester gets off to a relaxed start, we have put together a few useful links and a checklist for you. How can I prepare to start university? Need to refresh your maths or other areas? Then quick, sign up for a bridging course!So you’re not quite sure whether you still know the fundamentals in mathematics, physics or other fields, and want to refresh your memory? Our bridge courses [de] will help you. Join other students to brush up on your skills and ask questions about your course. If you haven’t arrived on campus yet or would like to get an overview of the subject matter first, you can use our online bridge courses [de] and learning videos [de] at any time. Orientation Week – it all starts hereCan someone please tell me what the abbreviations ZPA, URZ, ZSB, NHG, StuRa and LP stand for, what I’m supposed to do on my first few days at university, where I can meet other students, and whether I have to learn the Study Regulations by heart? Don’t worry – we’re pleased to help! To make the first few days of university at Chemnitz University of Technology easier for first-year students, student representatives from the faculties put on an Orientation Week [de] for new students every year. The International Office of Chemnitz University of Technology also hosts an Orientation Week for international students. This is known as the "O-Phase". Start your degree programme with a mentor – the StartSmart Mentoring ProgrammeYou’re nearly ready to get started. Now you’re probably wondering how to adjust to university life and get started with your course? Experienced students or staff members from the StartSmart Mentoring Programme [de] will help you with any queries you might have about how the course runs and how to organise your studies in the first few weeks of your degree programme. Feeling lost? Questions upon questions – you’ll get some good advice here.So much information, but you still feel a little lost? The Central Course Guidance Service pages give you an overview of all Chemnitz University of Technology advice facilities and the support services that they offer. Take a look at our FAQ list, too, for answers to your frequently asked questions. All the organisational issues have been completed, and now you’re curious about getting to know your new fellow students and wondering how to prepare to start studying in your first semester? Then you definitely shouldn’t miss Orientation Week of the International Office and the introductory events [de] for your course. Not only that, but you can also refresh your existing knowledge from school or your bachelor’s degree with a preparation course or a bridge course.